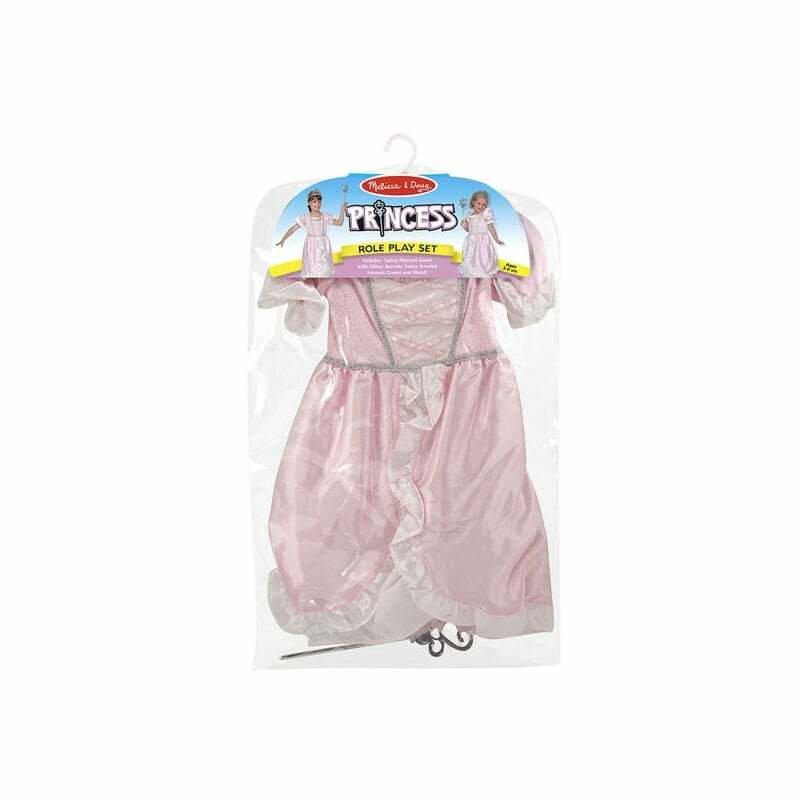 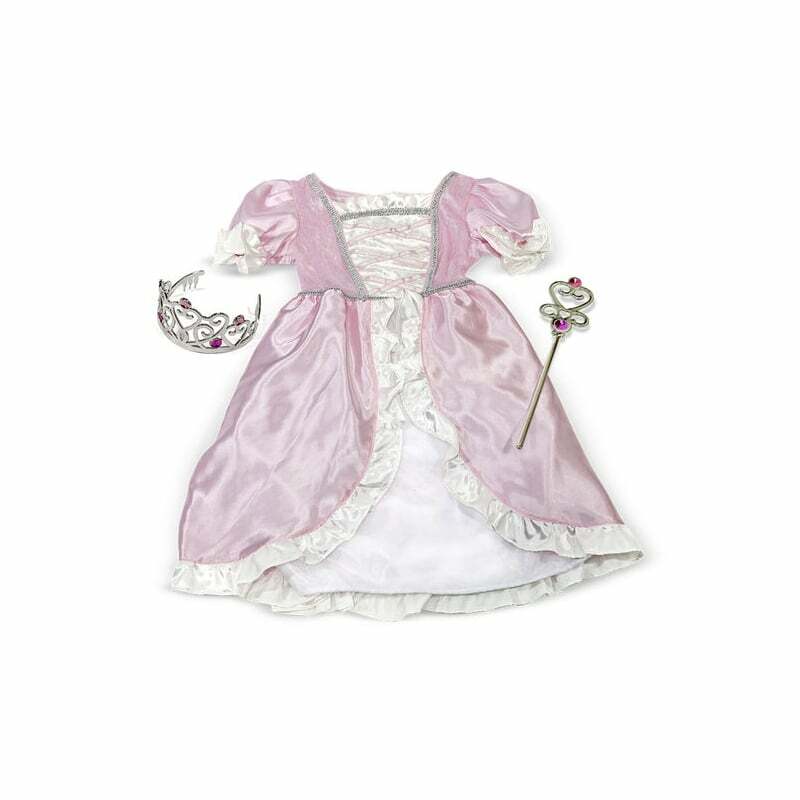 Princess role play costume set. 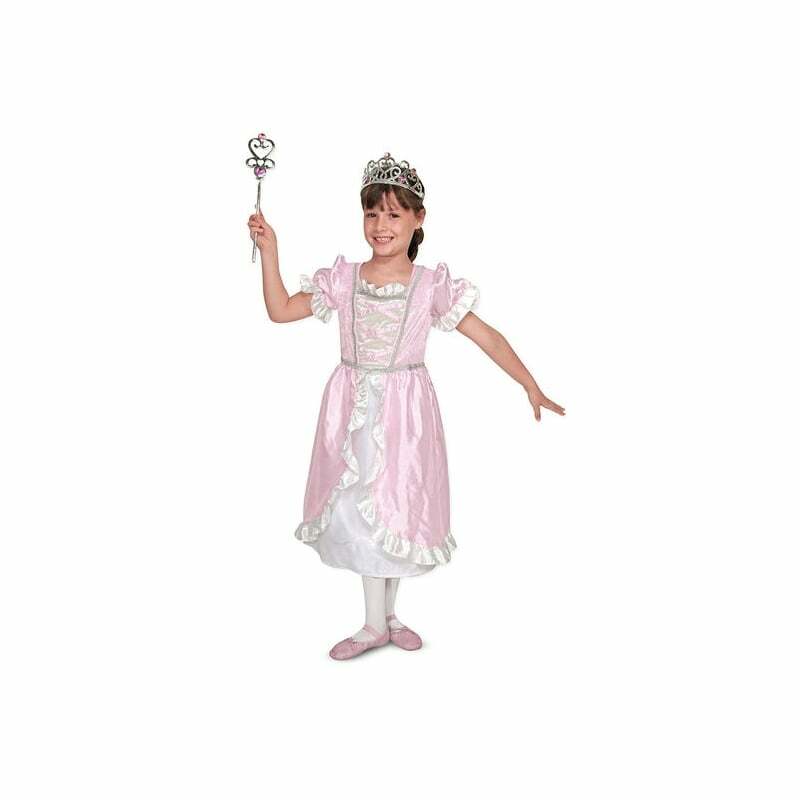 Your little princess will make a grand entrance to the ball, or anywhere in her kingdom, in this pink and cream satin and tulle gown. 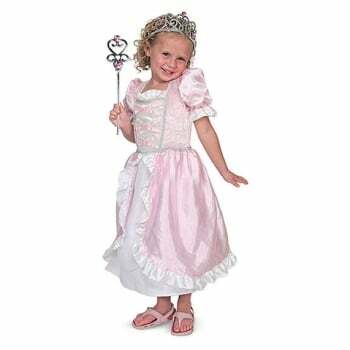 Accents of silver sparkles and shiny pink ribbons adorn the glamorous attire. 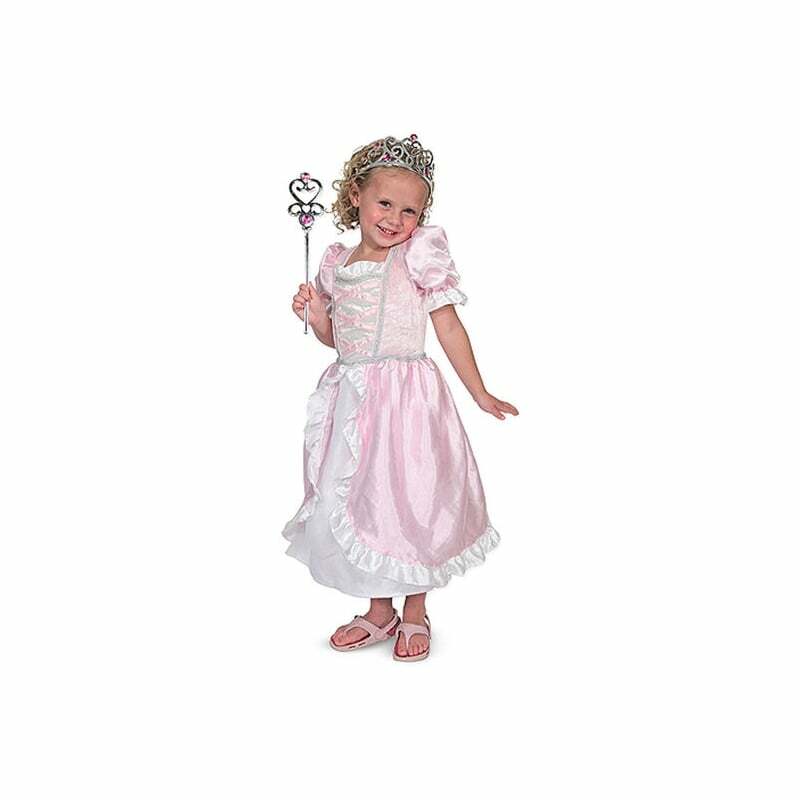 Both a silvery crown and wand are included to complete the ensemble and to add glitter to any festive occasion!